Bose in mine 2019 macan is good but cannot compare to other systems. Is Bose worth it..I think £850 is excessive but some how it feels better than not to have it as at least Bose gives you a decent sound. Burmester is far more expensive than Bose but if money no object then why not ! I asked tge salesman when I ordered mine and he told me Burmester is great but not worth the money and advised me to have the Bose as a happy medium. Well I am sure others here would give you their experience with Burmester. Good luck and Macan is a great purchase you will not regret. Decent sound without paying too much. Had Bose in last Macan now Burmester in new Macan only because previous owener spected it . I wouldn’t pay the extra money for Burmester, Bose is very good. I think burmeister is worth every penny. I had it in my macan and really regret not spewing it in my cayenne. The Bose is ok, but more than an hour of listening at decent volume levels is wearing and I find myself turning music off. I could do a 8 plus hour drive at decent volume levels and not feel worn down by The difference in clarity particularly of vocals is really noticeable, and bass is sharp whereas Bose is just woolly. If Bose sounds ok to you, then buy that, but it’s mediocre to my ears at best. There is absolutely no comparison - Bose is just the usual boom box rubbish. Burmester is massively better if you are into quality sound, but way over priced It is far cheaper and IMO a better result with quality aftermarket products and using high res audio files. Me too, I have the standard system and it's ok, but it's rubbish for a car of this value, I would not cough up another grand to improve it though, I'm just not that into music. 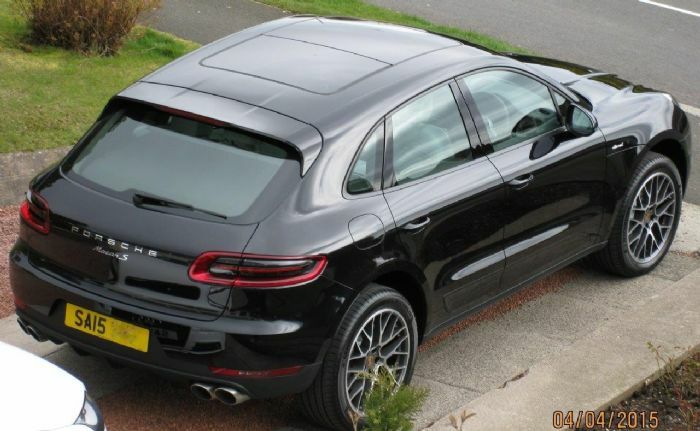 On the other hand, my wife's AMG has a Burmester system as standard and it's miles better than the standard one in my Macan, and my Jag had a Bowers and Wilson in it as standard, and it too was far better than the Macan - is it too much to ask that Porsche put a half decent system in as standard - the longer I own a Porsche the more Jaded I'm getting at how poor some of the kit is.